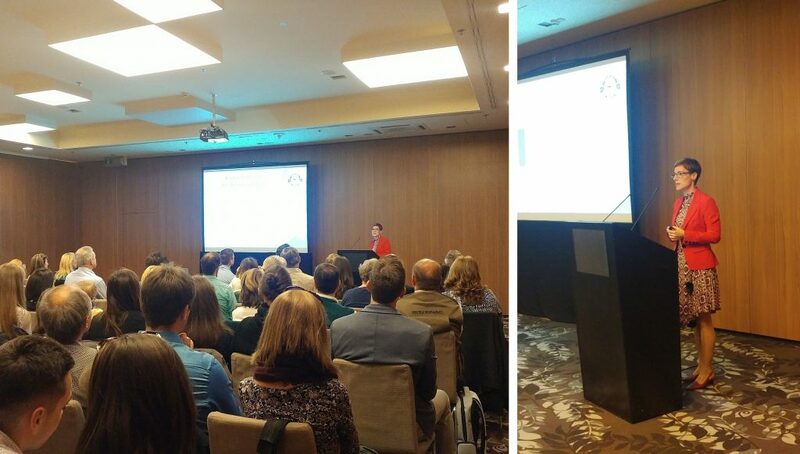 Consultation about the recommended Hungarian local medical literature list (PV Conference by HURAS - 17th Oct 2018) - ComFit Europe Ltd.
At the conference on 17th October 2018, organized by the Hungarian Regulatory Affairs Society (HURAS), the CEO of ComFit Europe Ltd., Katalin Timár-Horváth gave a presentation on the recommended list of local medical and scientific literature in Hungary. The recommendation list is under updating on the request of HURAS, by a working group of 6 literature monitoring experts in Hungary, led by Katalin Timár-Horváth. The aim of the presentation was to reveal to the members of HURAS that forming the list of local medical journals relevant from pharmacovigilance point of view is challenging because there are journals on the threshold of being relevant or not. The literature list revision working group raised several aspects to consider and asked the opinion of PV professionals attending the yearly PV conference of HURAS. A lively dialogue was set off between around 100 pharmacovigilance professionals. The following aspects were raised: Can serious difficulties of certain journal’s procurement be an exclusion aspect? Does unpredictable periodicity matter in the decision to monitor a medical journal or not? Can we exclude journals targeted at doctors which do not have in focus to publish cases, but they publish some from time to time? After a spirited discussion, a majority, though slight, of the attendees of the pharmacovigilance conference decided not to consider any of these aspects at forming the list of recommended journals except for being targeted at medical professionals. At the end there are 69+38 journals on the list with the purpose of pharmacovigilance. The recommended list of local medical and scientific literature was born under the guidance of HURAS in 2012 and updated ever since with the participation of the same experts. Uniquely in the region, this recommended list is approved by the Hungarian Medicines Agency.